This week’s Money & Markets segment can be found here. 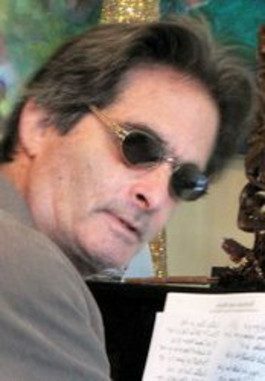 Jon Rappoport of NoMoreFakeNews.com has had a profound impact on my understanding of the world — on my understanding of health, consciousness and steps to enlist my imagination in living a free and inspired life. When I find my coherence fraying, I often turn to Jon and his work. Jon is an intellectual foo dog, protecting the truth from attacks on subjects that range widely from centralized control to pharmaceuticals. One source of joy is the collaboration that began when I introduced Harry Blazer to Jon’s work. Harry has become one of Jon’s most devoted readers and listeners. Last month, Harry called me to say that Jon’s philosophy is scattered throughout scores of Solari Report interviews. Could he interview Jon to gather this wisdom together in one Solari Report? Of course, I said, Yes. Here it is! In Money & Markets this week I will discuss the latest financial and geopolitical news, including what is happening in the United States now that I have returned from Australia and New Zealand. Americans are feeling the impact of significant repatriation of capital and operations into the United States. My week in the San Francisco Bay Area underscored the early impact of this “tsunami-like” move of financial and physical assets. In Let’s Go to the Movies, I will review a Netflix original Nobody Speaks: Trials of a Free Press that explores the growing tensions between the concentration of wealth and free speech through the prism of two recent events: The bankruptcy of Gawker as a result of a litigation judgment and the purchase of the Las Vegas Review-Journal.